Richard Horsley believes that since the 18th century many scholarly interpreters have misconstrued Jesus’ healings and exorcisms in the Gospels and other ancient texts due to a fundamental distortion. The author explores problems with the modern usage of “miracle” and/or “magic” with regard to these healings and exorcisms. An influential philosopher of the Enlightenment, David Hume established this modern category of thought when he famously defined a miracle as “a violation of the laws of nature”—an illegitimate appeal to the supernatural. Based on this understanding, Thomas Jefferson produced an abridgement of the Gospels that expurgated the miraculous, and the “Jesus Seminar” followed suit—proudly quoting Jefferson in its dedication to The Five Gospels. As Horsley shows, many other scholars make similar assumptions, subtly or not. The separation of the natural from the supernatural has characterized Western thought since the Enlightenment. Today’s science has become less dogmatic. Horsley shows that historians must also set their Humean dogmatism aside. Ancient literature does not speak of “miracles” as violations of laws of nature because “laws of nature” did not yet exist. Instead, they relate events such as exorcisms and healings. The historian should deal with those rituals contextually, in Horsley’s view, and avoid imposing modern constructs. Foisting the Enlightenment’s “miracles” on the Gospels is a philosophical error. The thesis of “Jesus the magician” is a related mistake, in Horsley’s view. 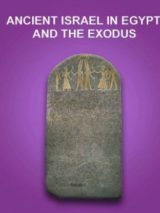 During the 19th century, collections of documents that included rituals, incantations and spells, etc., appeared in the antiquities trade. Out of this mélangea fashion of referring to a whole worldview of magic emerged. Although these so-called magical papyri came from the Byzantine period, their wording was used to understand Jesus. Horsley details the fallacies involved, especially in the works of scholars Morton Smith and John Dominic Crossan. The perspective Horsley develops is analytic as well as critical. He wants to understand how scholars became confident in their own myths and how the Gospels can be understood once the modern categories of “miracle” and “magic” have been set aside. Assessing modern scholarship, he shows that fashions of philosophy (Hume’s naturalism) and fashions of rhetoric (the romanticism of “magic”) got the upper hand over primary texts. Analysis of how the Gospels can be read without the category of the miraculous poses a greater challenge. Horsley engages in this tougher analysis by means of a reading he describes as “relational” and “interactional.” He sees Jesus’ healings and exorcisms as engaging people in Jesus’ “renewal of Israel,” a social program conveyed by pragmatic actions, not only words. Indeed, Horsley’s whole approach includes criticism of the assumption that we can know more about Jesus’ sayings than his activity. By design, Horsley presents his argument in succinct, sinewy form. His case is made step-by-step, with spare (but crucial) notes. In my opinion, his view is a necessary corrective of much scholarship where “miracle” and “magic” are concerned; no one in the field should use those terms again before reading this book. But I need to sound two notes of caution. First, although Hume’s definition of “miracle” is merely modern, the Persian term magos has been with us from long before the period of the New Testament; critical deployment of the concept cannot be excluded. Second, although I would not disagree with Horsley’s characterizations of the Gospels, they strike me as too general for a genuinely relational reading. When we dig beneath the surface of the Gospels, Jesus’ exorcisms appear as the removal of what is unclean by what is pure (see Matthew 12:28), and his healings instantiate forgiveness (see Mark 2:5). Such is the strength of Horsley’s proposal that one could deploy it more deeply than space allows in the last third of his book, and the result would likely strengthen his argument. 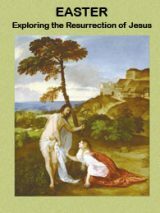 Bruce Chilton, the Bernard Iddings Bell Professor of Religion at Bard College in New York, is the author of Jesus’ Baptism and Jesus’ Healing (Trinity Press I and Rabbi Jesus (Doubleday). Are not his healings/exorcisms/miracles part of the whole activity/blessings of the Kingdom of God?